As part of its new guidelines for children’s media use, the AAP recently recommended that parents of young children limit screen time to one hour per day. In addition, the group recommended that programming be of a high-quality and educational nature. Parents looking to adhere to these guidelines may be interested learning about PBS Kids’ new Playtime Pad. The $80 tablet for kids, produced by Ematic, lets parents set time limits on use and manage what kids can play. 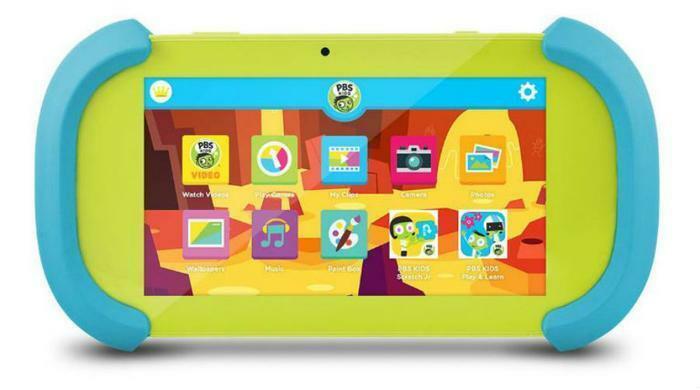 The durable device -- which is slated to make its debut November 6 at Best Buy, Walmart.com, and Shop.pbskids.org -- will come preloaded with several dozen games, more than 120 video clips, music videos, and 100 hours of video via the PBS Kids Video App. The media-packed, blue and green gadget is intended for kids ages 2 through 8. PBS hopes children will be engaged with the media on the tablet, rather than taking it in mindlessly and in large doses. In a statement, Lesli Rotenberg, senior vice president and general manager of PBS’ children’s media operations, said the Playtime Pad pairs with PBS’ mission to help kids reach their potential. “We know that families lead busy, on-the-go lives, so we are excited to offer our high-quality, innovative content on an affordable tablet that helps kids learn and explore with their favorite PBS Kids characters, whenever and wherever,” she said. The 16-GB device will also include a front-and-back camera, coloring app, and the PBS Kids Scratch Jr. app, which aims to help kids learn coding concepts. For parents, there is a parental control app through which screen time limits can be set. Parents can also control what kids are allowed to access. A separate app lets parents see how their kids are progressing. If parents want to download other games or apps for their kids, they can do so on the Google Play store.